Are you on the market for window tinting for your vehicle? You’ve come to the right place because Raleigh Window Tint Pros offers superior window tinting and premium customer service. 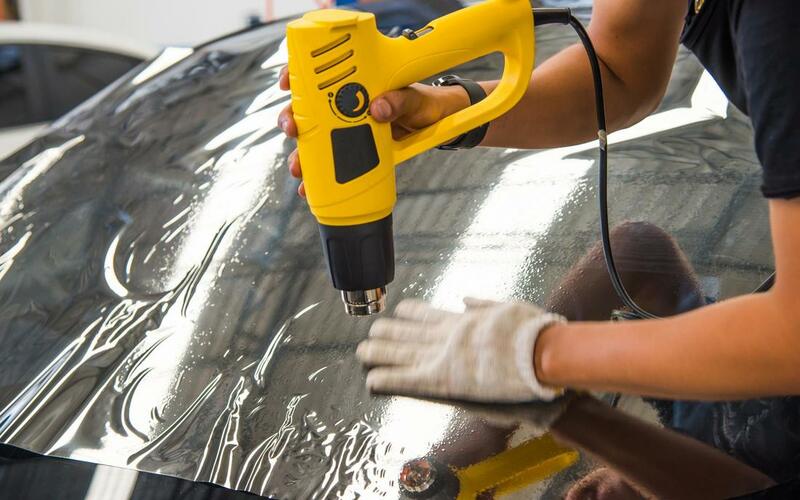 Our tinting experts are professional and extremely skilled. Window tinting adds flair and sophistication to your vehicle while providing you with a sense of privacy. There are a variety of tints to choose from, each with its own set of benefits and unique characteristics. You can choose from dyed, ceramic, spectra photo sync, and Llumar Air Blue 80. If you’re concerned with pricing, we’ve got a tint that will work for your budget. With any window tinting product, your vehicle will be 35-60% cooler. This means that you don’t have to exhaust the vehicle cooling system during the summer months. Its less wear and tear on your car’s A/C components and also saves you money in fuel costs. Did you know that 53% of skin cancers in the United States are found on the left side of your body? This is the side that faces the window while your sitting in the driver’s seat. Window tinting is recommended by the Skin Cancer Foundation for UV protection because it blocks 99.9% of harmful UV rays. The multi-layered polyester film that is installed on your vehicle’s interior adds an extra layer of protection during break-ins. Thieves are less likely to attempt to bust out your windows because they have to go through an extra layer of material to go through. The tinting material slows them down and increases their chances of getting caught. When in an accident, normally the windows shatter into a million tiny pieces but with tint in place, they are held together by the film. Tinting blocks 50-90% of glare from oncoming traffic and the sun, plus reduces eye fatigue while driving. The added benefit is that it saves your car’s upholstery and dash from deterioration, warping and discoloration. When shopping for window tinting, you should be aware of the terminology. VLT is a term used to describe the visible light transmission. It is the percentage of light that passes through the window and into your vehicle. North Carolina limits the VLT depending on the vehicle type and potential placement location. If the VLT percentage is low, less light will enter the vehicle. A 35% VLT blocks more light than a tint with a 70% VLT. A 35% VLT tint blocks 65% of the light attempting to enter your vehicle. When trying to determine how much light will be blocked with a particular tint, simply subtract the VLT percentage from 100%. Window Tinting Laws within the state of North Carolina are pretty strict but we are still afforded some wiggle room. Red, yellow and amber tinting is illegal in North Carolina. The state limits the level of tint you can have on your vehicle. VLT, also known as Visible Light Transmission must be at least 35%. If the VLT percentage is high, more light can enter your vehicle. The law also stipulates window tinting placement by vehicle type and location. Tint on the windshield cannot surpass the top 5 inches. Passenger, SUVs, Vans and trucks cannot exceed a 35% VLT on the front side windows. There is no restriction on the rear side windows for commercial vehicles, limousines, trucks, SUVs and vans.